Arsenal have not offered England forward Danny Welbeck a new contract as he runs down the final year of his current deal, according to the Daily Mirror. The 27-year-old had been expected to leave during the summer, with the likes of Everton and Newcastle being heavily linked with a move for him. However, such move never materialized and at the start of the season, he was just expected to be an extra option to call on at last resort. 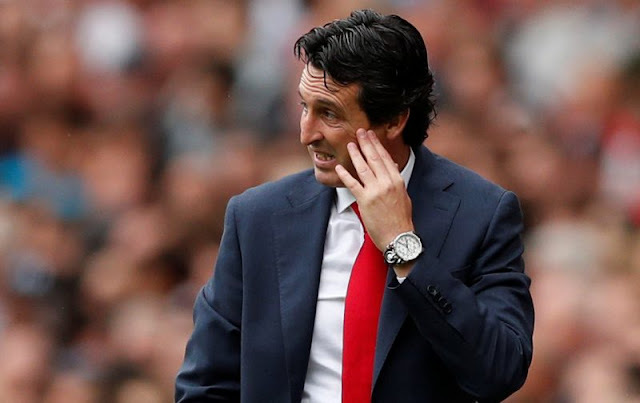 However, he has proven many wrong and seems to have found himself again under Unai Emery with four goals and a series of impressive performances now making him more than just an option. There have been calls to award him a new contract following his current improvement in form, but the club are yet to heed to those calls, and rightly so. Let’s face it, Welbeck will never be that 20-30 goal forward, and for all his energy and industry, he isn’t exactly a winger. For a player who will just be filling in as a squad player, the 110k he earns per week is quite a lot on an already strained wage budget, given that Arsenal are willing to lose a player like Aaron Ramsey because of his wage demands. Also, there’s the issue of giving youngsters an opportunity, handing Welbeck a new deal hinders first team chances for the likes of Reiss Nelson and Eddie Nketiah who look like they have the potentials to be much better than he is in a few years if given the opportunity. One might say they are for the future, but take a look at what Jadon Sancho is doing with Borussia Dortmund and the fact that Reiss Nelson has already scored twice for Hoffenheim and you’ll realize that they could very well be assets soon rather than later. At 27, Welbeck is supposed to be in a team where he’ll be a key figure rather than a squad player, and he must be thinking about that as well. Arsenal currently do not look like they’ll miss Welbeck if he leaves, as even though he is on a good form, Lacazette and Aubameyang are constantly showing why they are ahead of him in the pecking order. Arsenal could use his current good form to the advantage of both parties by selling him to a team like Everton in January for a good sum which could be reinvested either in bringing in another player or in the wage budget.